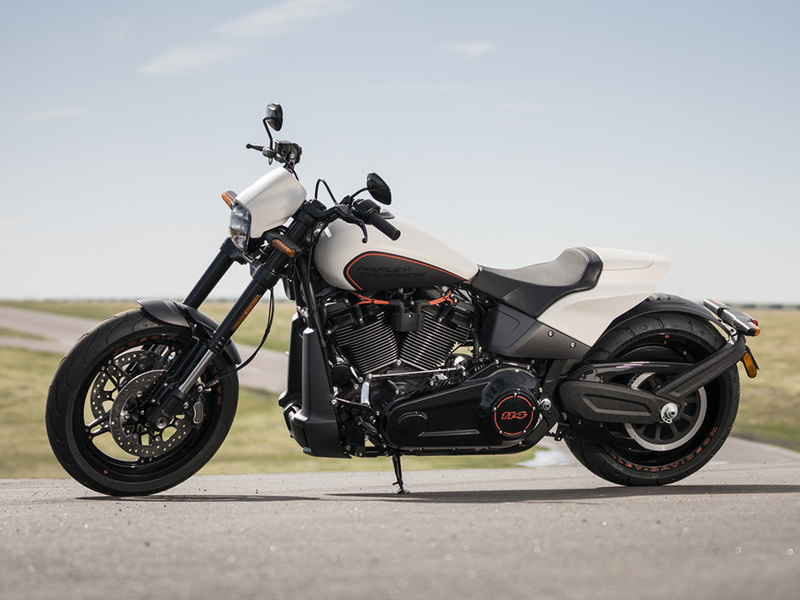 The all-new FXDR� 114 is a feast for the eyes with performance and attitude that’s off the leash. Fast on the straights. Agile in the corners. It'll blow away your senses. Available from now until 30th June. The new FXDR™ pushes boundaries and aims to arm riders with bounds of power and attitude. Find your way through the city aboard an FXDR™ now with a £1,500 deposit contribution and 9.9% APR Representative finance. *£10 Purchase fee included in the optional final repayment. Based on 4,000 miles per annum. Harley|OWN™ (Personal Contract Purchase) is provided by Harley-Davidson Finance, a trading name of Black Horse Limited. This finance offer is only available through Harley-Davidson Finance, St William House, Tresillian Terrace, Cardiff, CF10 5BH. Credit is subject to status and is only available to UK residents aged 18 and over. Finance offer ends 30th June 2019, examples correct at the time of production but may be subject to change. With Harley|OWN™(Personal Contract Purchase) you have the option at the end of the agreement to: (1) RETURN - Return the motorcycle and not pay the Optional Final Repayment. If the motorcycle has exceeded the maximum agreed mileage a charge of 6p plus VAT will apply per excess mile. If the motorcycle is in good condition (fair wear and tear accepted) and has not exceeded the maximum agreed mileage you will have nothing further to pay. (2) RETAIN - Pay the Optional Final Repayment to own the motorcycle or (3) RENEW - Part exchange the motorcycle subject to settlement of your existing finance agreement; new finance agreements are subject to status. Finance examples are based on 4,000 miles per year. Examples are based on entry level paint variants for all models, please ask your dealer for details. ©2019 H-D or its affiliates. HARLEY-DAVIDSON, HARLEY, H-D, and the Bar and Shield Logo are among the trademarks of H-D U.S.A., LLC.